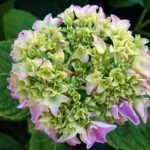 I have a very large (and old) hydrangea that thrives and blooms beautifully. This year, there is foliage up to 50 - 60% of the wood but the tops of the stocks seem dried and dead. 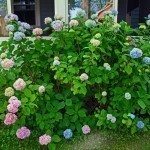 Can I prune these to where the new foliage is?